Patek Phillipe: History, Models and Prices. New & Vintage. The founders of the famous Geneva manufactory were not Swiss-born. Antoni Patek was born in Poland and Adrien Philippe was born in France. Influential Patek Philippe clientele included Queen Victoria, Tsar Nicholas II, John Lennon, and several popes. Patek Philippe fills almost all first 20 slots on the list of most expensive watches auctioned off in history. Patek Philippe is a family owned company that is currently being led by its fourth generation. Patek & Philippe – two words that make the watch lover's heart beat faster. Patek Philippe is one of the most famous Genevan brands, but contrary to expectations, the luxurious brand does not have Suisse origins. 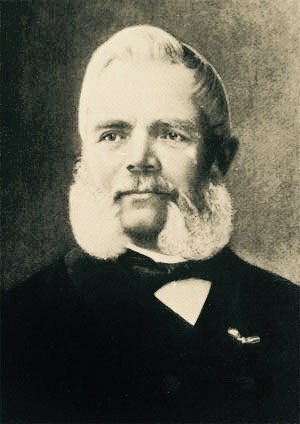 In fact, Antoni Norbert Patek, who is the founder of the company, was born is Poland. In 1831, he was forced to leave his homeland after the revolution in Poland was violently suppressed by the Russian army. Following months of fleeing, Patek was finally able to settle in Geneva. Fascinated with the Genevan heritage of watchmaking, young Patek quickly found an entrance into the industry: he began to purchase high-quality movements and inserted them into his own casings, which was a relatively straightforward procedure. The determined Patek wanted more, however, and on May 1, 1839, he founded his own watch manufacture alongside watchmaker Francois Czapek, calling the company Patek, Czapek & Co. In 1844, Antoine Norbert de Patek and Jean Adrien Philippe attended an exposition in Paris: The Exposition Nationale des Produits de l’Industrie. It was here that Patek heard about the talented watchmaker, Jean Adrien Philippe, who was awarded the bronze medal for his ingenious invention: the keyless winding and hand-setting system. Prior to the keyless winding mechanism, watches were conventionally wound and set via a separate key as opposed to a crown. The year 1845 marks the dissolution of the partnership between Patek and Czapek, as both watchmakers want to go their separate ways. Patek, who is still fascinated with the innovative keyless winding mechanism, asks Philippe to join the company as technical director. Philippe agrees and in 1851 the official title of the company is changed to Patek Philippe & Cie. Following the death of Antoine de Patek in 1877 and Jean Adrien Philippe in 1894, a unique legacy was left behind in the watchmaking world. By the end of the 19th Century, the Geneva Manufacturer had already enjoyed worldwide eminence and was recognized among one of the most important watchmaking houses in the world. In 1901, the company was transformed into a stock corporation. In 1932, however, the company fell victim to the effects of the Great Depression and Patek Philippe was forced to seek a new buyer for the majority of the company shares. Luckily, the company had close business relations with the Stern brothers, who owned the renowned dial factory Fabrique de Cad- rans Stern Frères. Under the name Patek Philippe SA, the Stern brothers acquired Patek Philippe and the exclusive watch manufacture was passed on to their family. Currently, the company name along with the company proprietors remain unchanged. The traditional company continues to be led by the Stern family and is the last family-owned, independent watch manufacturer in Geneva. Under the leadership of Charles and Jean Stern, the decision was made to develop in-house movements, thereby strengthening the independence of the company. As the years have passed, three generations of the Stern family have successfully led the company. Currently, the business is run by Thierry Stern who plans on continuing the vision of the company founders and running the business as an independent family firm. When the British Queen Victoria acquired a pocket watch from Patek Philippe at the Great Exhibition of 1851, the reputation of the company with the royal dynasties of the world was strengthened. From the Russian Tsar Nicholas II to Prince Albert of Monaco: Worldwide royal families stamped their seal of approval on the Patek Philippe name. The prominent list of Patek Philippe clientele is impressive to say the least. Sporters of the Patek Philippe brand include James Ward Packward, Walt Disney, Pablo Picasso (Ref. 2497), John Lennon, Eric Clapton, Paul McCartney, along with the famous celebrity couple Brad Pitt (Nautilus) and Angelina Jolie (Ref. 7000). Another noteworthy fact: Numerous popes have worn a Patek Philippe, a tradition that began in 1866 with pope Pius IX and continued by pope Leo XII in 1878. Over decades, many special editions have been created for the papacy. The strong connection between Patek Philippe and the catholic church is not surprising, however, as founder Antoine Patek was a devout catholic. Patek Philippe has always stood for the refined and inventive techniques of watchmaking and is notable for pioneering many features that are found in luxurious Suisse timepieces today. In 1842, the modern keyless winding mechanism caused a sensation. In 1845, the watchmaker and Co-founder Jean Adrien Philippe developed a pocket watch with a minute repeater. 1868 marked the year in which Patek Philippe created its first wristwatch for the Hungarian countess Koscowicz. And in 1889, Patek Philippe obtained a patent for its perpetual calendar mechanism. The perpetual calendar displays the month and date and functions correctly despite leap years. The manufacturer has contributed greatly to the invention and development of the perpetual complication. A revolution in watchmaking followed in 1925 as Patek Philippe successfully integrated the perpetual calendar complication into a wrist watch. Another noteworthy piece of history occurred in 1902 when Patek Philippe was awarded a patent for its double chronograph, which is a watch that includes two separate mechanisms for the measurement of different periods. Currently, Patek Philippe is considered to be the master of watch complications and with over 80 different patents, the company clearly demonstrates its inventive genius. 1887 marks the year that the Calatrava cross became the official symbol of the Geneva manufacture. Years prior, the founder Antoine Patek had engraved the cross with Fleur-de-Lis ornaments on the case of many Patek Philippe pocket watches. As a devout catholic, the symbol represented a spiritual meaning for the watchmaker, as the cross is the emblem of the Order of Calatrava. The Order of Calatrava was a military order that originated in the 12th century and had received papal approval after a Spanish castle was saved from an Arabic invasion thanks to its knights. Today, the symbol decorates the winding crowns, case bottoms and closures of Patek Philippe watches. In 1932, Patek Philippe blesses its most manufactured watch model with the name Calatrava. During that time, when the first model (Ref. 96) of the series had been introduced, the Bauhaus-style had comprised the predominant design of the timepiece. The clean lines and distinctive shape fo the watch are easily discernible when it comes to the Calatrava, which is still a part of Patek Philippe collection today. Major characteristics of the Calatrava include the clear dial, the refined indices, and the small bezel. Throughout the history of the Calatrava, the clarity of the dial has always been an important element, as watch complications are atypical when it comes to the refined timepiece. The Calatrava is a simple and elegant timepiece that is worn among men and women alike, and has been passed down from one generation to the next. In 1976, Patek Philippe decided to manufacture a luxury sports watch. Many doubted the ability of the Swiss brand – being known as one of the most prestigious watchmaking manufacturers worldwide – to successfully introduce a luxury sports watch. However, in utilizing the skills of the brilliant Suisse watch designer Gérald Genta, the brand was triumphant in creating a new watch classic: The Nautilus. The Nautilus drew inspiration from the unmistakable shape of maritime porthole vessels. The first model of the collection to be introduced was the steel Patek Philippe Nautilus Jumbo (Ref. 3700/1) – jumbo referring to the striking size of the 42 mm bezel, which in 1976, was considered to be considerably large. Not surprisingly, the Nautilus discovered its followers and fan base relatively quickly. Today, it is considered one of the most famous models derived from the Swiss manufacturer. Following the tradition of the Nautilus, the Patek Philippe Aquanaut was presented in 1997. With its rounded, octagonal shape, and waterproof capabilities up to 120 meters, the Aquanaut is reminiscent of its popular predecessor. With accustomed precision and robustness, the Aquanaut exudes a refreshing air of casual chic. Patek Philippe is praised for its impressive in-house production and vertical integration. The uncompromising quality standards of the Geneva-based watchmakers is perpetually implemented in the conceptual design of the luxury watches and in the manufacturing of innovative movements. Patek Philippe provides the label "manufacture" justice as more than 20 competitive calibers and 45 factory modifications have been developed. Following years of receiving an emblem of excellence from the prestigious Geneva Seal (Poinçon de Genève), the company launched its own Patek Philippe Seal in 2009. The in-house label testifies to the extremely high standards of all Patek Philippe production stages and guarantees quality that far exceeds the Geneva Seal. The exquisite craftsmanship of the Geneva manufacture is displayed through the unique creations of Patek Philippe. The Sky Moon Tourbillon (Ref. 5002) was presented in the year 2000 and is developed with several watch complications. Not surprisingly, it is one of the most expensive and valued timepieces in the world. It is also the first double-face wristwatch presented by Patek Philippe that can be worn with the dial facing up in order to focus on the time, or alternatively, with the case back of the watch facing up, revealing a gorgeous night sky. The Grandmaster Chime (Ref. 5175) is another double-face timepiece that was introduced in 2014 to mark the 175th anniversary of Patek Philippe. It is an exquisite masterpiece of Haute Horlogerie and provides a range of elaborate complications including a unique chime. The Grandmaster Chime easily charms worldwide watch aficionados who not only want to glance at the time, but listen for it as well. Other outstanding complications of the watch include the Grande Sonnerie, Petite Sonnerie, a minute repeater, and most coveted of all, a unique alarm that strikes the alarm time and when desired, sounds the date. Initially, the grand Master Chime was limited to seven timepieces and their price was introduced ar 2.5 million Swiss francs. Patek Philippe timepieces are world renowned for their tradition, exclusivity, as well as their record-breaking prices. In fact, among the list of record-breaking amounts for auctioned watches, Patek Philippe stands amongst almost all first 20 places. The unsurpassed symbolic status of Patek Philippe can be traced back throughout the history of the company, who stand for uncompromising quality and strict brand management. The Stern family, who are now the proprietors of Patek Philippe, value exclusivity amongst one of the most important brand policies. As a result, Patek Philippe watches are limited in quantity and, therefore, clients can always be certain that they are investing in an exclusive timepiece. At times, special edition watches have been known to be personally handed over by Mr. Stern. The famous „Supercomplication“ is a great example of the extraordinary price developments of Patek Philippe watches. In 1928, the US banker Henry Graves ordered a watch with 24 complications, including Westminster chimes, a perpetual calendar, sunrise and sunset times, and a celestial map of New York. The watch is comprised of 900 parts and is once of the most complicated watches to have ever been manufactured without the assistance of computers. In 1993, the watch was valued at 60, 000 francs. In 2014, the watch was then auctioned in Geneva for a record-breaking 23.2 million francs. The watch has since been ranked as one of the most expensive watches in the world.